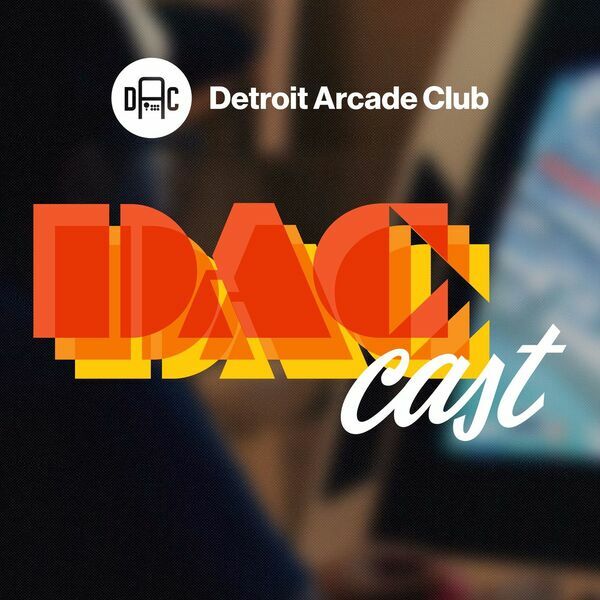 Originally recorded on July 17th, 2016 The DAC Cast crew discusses their favorite old school and modern videogame music, with special guest SNESEI, Detroit-based chiptune and electronic musician. SNESEI https://snesei.bandcamp.com twitter.com/snesei facebook.com/snesei instagram.com/snesei SNESEI Recommends: Infodrive: soundcloud.com/infodrive/tracks Walk in Circles: soundcloud.com/walk-in-circles/tracks Chibi-Tech: https://chibitech.bandcamp.com Trey Frey: https://treyfrey.bandcamp.com SNESEI Tracks Used: Intro Theme - Trinity 19:30 - Synched 53:36 - 4 Ever & Ever 1:13:08 - Finster Tracks Discussed Logan’s Picks: Fez - Adventure - Disasterpeace Earthbound / Mother 2 - Because I Love You - Keiichi Suzuki & Hirokazu Tanaka Rock Man - Elec Man’s Theme - Manami Matsumae Legend of Zelda - Main Theme - Koji Kondo Gimmick! - Masashi Kageyama Akumajou Densetsu - Hidenori Maezawa, Jun Funahashi, Yukie Morimoto, Yoshinori Sasaki Greg’s Picks: Maniac Mansion - Bernard / Michael’s Themes - George Sanger & David Hayes Gone Home - Various - Chris Remo Keith Courage in Alpha Zones - Michiharu Hasuya Lunar: Silver Star Story - Noriyuki Iwadare Chris’ Picks: Thunder Force IV - Metal Squad - Toshiharu Yamanishi, Takeshi Yoshida, Naosuke Arai Devil’s Crush / Devil Crash - Main Theme - Toshiaki Sakoda Gradius II (Famicom) - Heavy Blow - Hidenori Maezawa & Yukie Morimoto Nier - Keiichi Okabe Blaster Master / Metafight & Journey to Silius / Raf World - Naoki Kodaka Corey’s Picks: Kingdom Hearts - Yoko Shimomura, Hikaru Utada Donkey Kong Country - David Wise Silver Surfer - Tim Follin Super Mario 64 - Bowser’s Theme - Koji Kondo All music, snippets, and samples are properties of their respective copyright holders.